what a calm place to sit and watch the world go by! 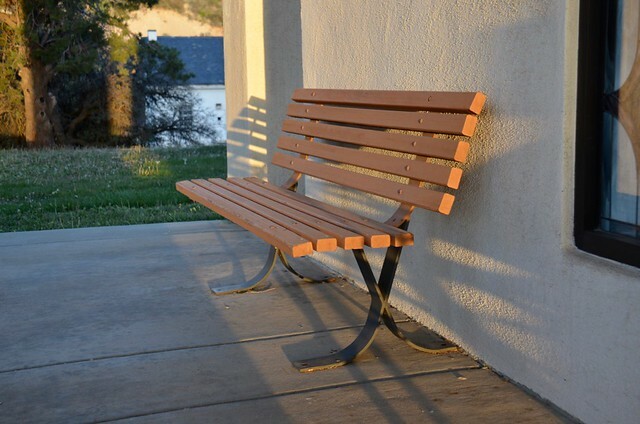 Love that little corner there where the pattern of the bench shadow is cast! Beautiful serenity in this soft play of light and shadow. Love those long evening shadows!